Oh summertime. Blackberry briars, grass stained feet, and bug bites. When I was little and I had an itchy bite my mom would rub on gooey pink calamine lotion while singing “Gonna need an ocean of calamine lotion!” I loved the tradition, and the initial cooling sensation was calming. But right afterwards? It didn't keep me from scratching. Diazolidinyl urea: A known skin and immune system toxin. It has created cancer and caused endocrine disruption in studies. It affects the brain, nervous system and metabolism at high doses. Fragrance: Is a cardiotoxin that can lead to birth defects, altered hormone levels, lowered sperm count, asthma, allergies, headaches, migraines, dizziness, rash, hyper-pigmentation, violent coughing, vomiting and skin irritation, contact dermatitis, endocrine disruption, impaired fertility, irregular menstruation, painful cramps, cancerous tumors, and developmental disorders. Parabens: Are known estrogen mimickers which are linked to breast cancer, DNA damage in skin, and are damaging to all aquatic life. Propylene glycol: Causes reproductive toxicity, immune system toxicity, cancer, skin and eye irritation, organ system toxicity, endocrine disruption, and neurotoxicity. You don’t have to worry about this ugly combo of ingredients because luckily, I found a calamine lotion replacement. It’s bigger and better in every way: 1) It is composed of only two pure ingredients, and 2) it actually works. Seriously. The solution is activated charcoal. 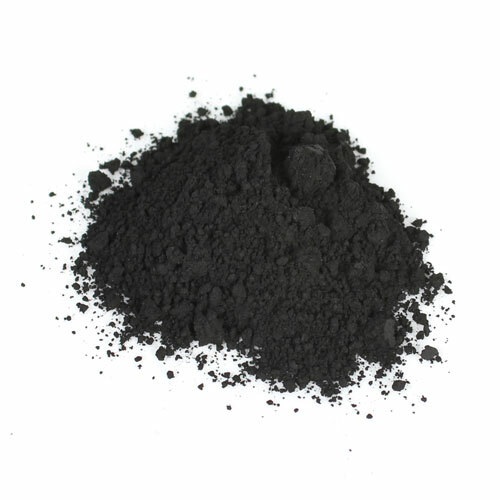 Activated charcoal is currently used in the ER in cases of poisoning. It has been so successful that stomach pumping is rarely performed anymore. Activated charcoal is thought to bind to the ingested toxin and prevent absorption by the gastrointestinal tract. This is the same way it works on bug bites. Applied topically to the skin, the charcoal absorbs the toxins and reduces redness, swelling and the itch. I've only tried it on mosquito bites, but it can be used on poison oak, poison ivy and anything else uncomfortably itchy. You can buy activated charcoal capsules at any local drugstore or grocery store (mine are from Whole Foods). They come in the form of gel caps and you can wriggle them open to remove the powder. I got a mosquito bite last night that swelled up to the diameter of a golf ball. No joke. That sucker had it in for me. I mixed a pinch of activated charcoal powder and water together to get a paste and applied it to the offending bump. As soon as the mixture was applied, any itchiness whatsoever subsided. I left the paste on for about ten minutes (all the while being very careful not to touch anything for fear of getting black goo everywhere). Afterwards, I washed it off with soap and water. The itch was gone, never returned, and I was able to fall asleep peacefully uninterrupted by bouts of maniacal scratching. The following morning, the bump was flat and the only remnant was the vague outline of charcoal dust in the shape of the bite. Ingredients in Activated Charcoal: Activated charcoal and gelatin capsule. Very cool! I'll have to try this sometime. It's crazy how well it works! Perfect for the tropics like Hawaii and Thailand. I usually use lavender EO - it helps with itching and keeps most bugs off in the first place. I will definitely keep this in mind for next time my defences fail! I've never tried lavender for itches! Good to know, I might try it out and compare the two!